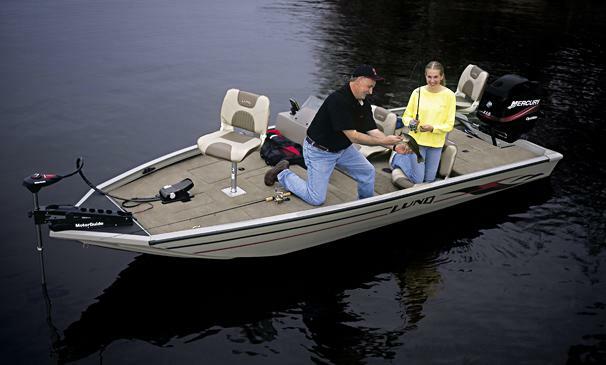 Boat Description The Lund 170WPE Bass makes the most out of the superior qualities of aluminum. It`s lighter and more durable than fiberglass, and, with it`s modified V-hull, the Bass is as well suited to deep, windswept lakes as it is to shallow waterways. And it has classic fishing features that improve productivity on any water. Dry Weight 995 lb approx.